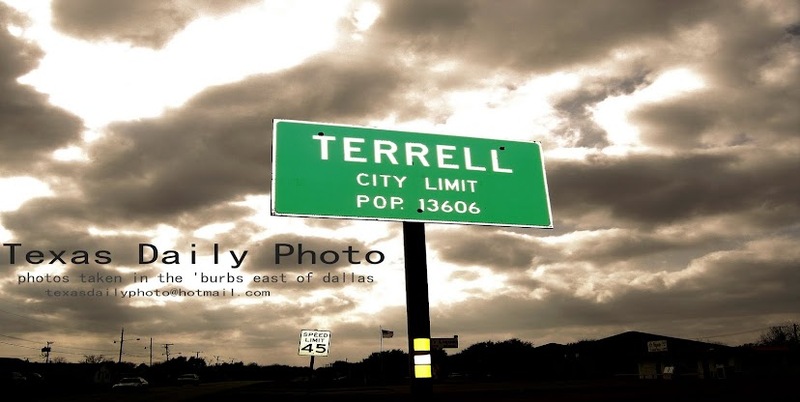 Terrell Texas Daily Photo: 3 days until the Photowalk! 3 days until the Photowalk! Saturday at 9am we'll be meeting in the parking lot next to Risinger's Country Store, showing in the background of this shot. If you're in town Saturday, meet up with us at 9a for a group photograph, and then mosey around downtown at your leisure and take some photos. When you're ready, meet us over at 805 First St to photograph the grounds and basement of the old LE Griffith home. Mr. Davis Griffith-Cox will be on-hand to answer questions about his family home, or pretty much any other local history question you may have! 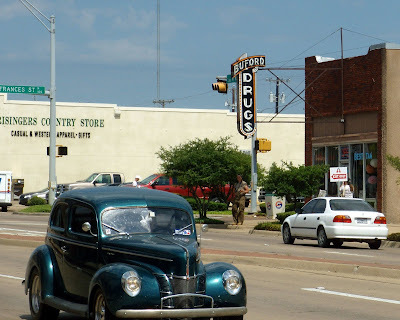 I like the old-timey car and the old-timey drugstore.